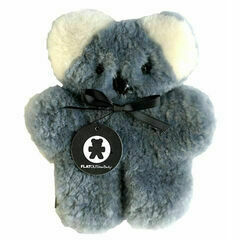 FLATOUT Bears began in 2002, when two Australian sisters, Sarah & Prue, created a range of natural teddy bears for children, made from incredibly soft pure Australian sheepskin. 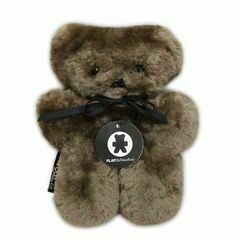 FLATOUT bears have become cult favourites amongst celebrities, including Princess Mary of Denmark, Brooke Shields and Hugh Jackman. Sarah Jessica Parker called the bears “charming and adorable”, whilst Tom Cruise had their bears on his baby wish-list. 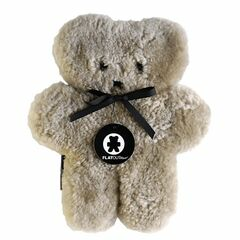 FLATOUT bears come in a wide range of natural colours that are perfect to give as a gift for newborns & Christenings. As well as making fantastic products for little ones, FLATOUT are generous with their charity work. FLATOUTbears Australia donates money from sales directly to CEDAC (Centre for the Study of Cambodian Agricultural Development), a great organisation that supports the agricultural community of Cambodia, encouraging sustainability, health, and a strong community. One of the sisters lived in Cambodia for a year, and saw how far a seemingly small donation can really go.